Actions Not Words is a charity (NGO) that focuses on providing under privileged children with quality education. 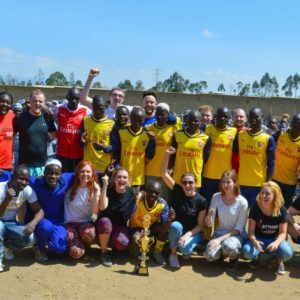 Currently the NGO focuses on an area within Nakuru, Kenya and sponsor over 100 children into boarding school from one of Kenya’s most poverty stricken slums. Though the founder (Ross Floyd) of the organisation has been working in Kenya since 2010, it was not until December 2012 that ‘Actions Not Words’ was registered as an official charity in Kenya, thanks to support of our manager Agnes Mburu. On 25th June 2013, ‘Actions Not Words’ became a registered charity in the UK and can now benefit from tax relief. Though progress was slow in the beginning the charity has flourished thanks to a number of wonderful volunteers and sponsors. Therefore we would like to take this opportunity to say a huge thank you to our directors, supporters, sponsors and past/future volunteers. Actions Not Words currently have over 100 children from Gioto Garbage Slum enrolled at Boarding School. There, they receive not only an excellent education, but sleep under a safe roof and eat four meals a day- something they can only dream of at the slum. In this environment, the children are not only in the best position to fulfill their true academic potential, but are also able to fully enjoy their childhood. Naivasha Maximum Security Prison is the second largest prison in East Africa, with over 3000 inmates most who have been sentenced to life in prison or death. ANW aims to encourage and educate these men through sport. Currently there are two football teams who play each and everyday inside the prison. We feed 400 children a cup of nutritious porridge every day. For many of these children, the cup of porridge is the only meal they will have that day. 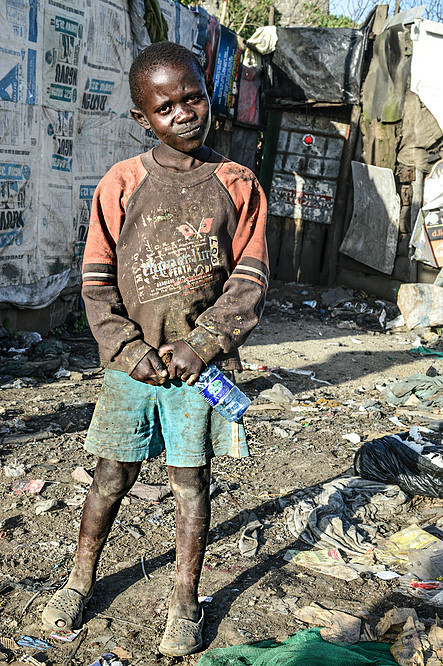 Without it children have no energy to learn, can faint in class and they can even miss school as they are sent by their families to the dumpsite to search for food. 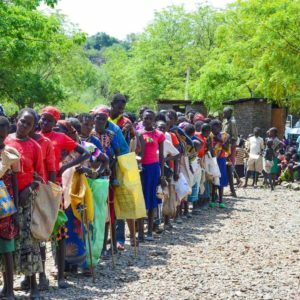 In times of shortage, famine and drought we work with other partner organisations to bring support in the form of relief aid (food, water, blankets etc) to those who need it most. The first time I came to Kenya was during my summer holidays after my first year studying at University back in 2010. I will never forget this 8 week trip that has changed my life forever. I saw things that I never imagined possible, real people and real children scrummaging through the rubbish of a dumpsite to find food, clothing and shelter. I left Kenya in September 2010 only to realise when I had returned home that I had left behind a piece of my heart in Kenya. I returned to Kenya for a further three months to continue my work in 2011, and when I graduated in 2012 decided to move to Kenya to live and work with these people from the slum who had become my close friends. 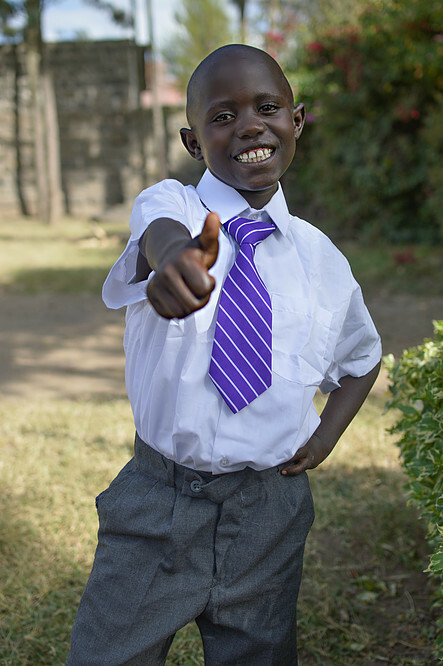 During December 2012 we registered our charity ‘Actions Not Words’ in Kenya. I first met Ross during his visit to Kenya in September 2012. We met through a mutual friend and he told me about the work he had been doing in Gioto Dumpsite. I have lived here all of my life and had never heard of the ‘dumpsite slum’ in which he was referring to so I was very curious to see it, little did I know what I was getting myself into. Walking around the slum broke my heart, I could see genuine people living in extreme poverty, I immediately wanted to help. Since that day I have been working with Ross to establish and develop Actions Not Words. As a friend of Ross I have always been interested in hearing about Gioto Garbage Slum and the work he has been doing there. In August 2012 I began to sponsor Emily and not long after decided to book flights to go and meet her. I went to Kenya for two weeks during June 2013 and it was truely life changing. I have completely fallen in love with the place and the people I met there. They are so incredible, so welcoming and so humble. The charity is making an unbelievable difference in lives and I am looking forward to getting more involved. After many visits to Kenya, I am continually overwhelmed by the life changing impact Actions Not Words is making on so many children and their families. We are truly thankful to Ross and Agnes for their ongoing love, care and dedication. I am now a committed director of the charity and am looking forward to seeing many more lives changed. We thank God for his continued protection over everyone. In 2012 I started to sponsor Peter through Actions Not Words, however it wasn’t until I actually went to Kenya, met Peter and saw the conditions that these children and their families live in that I really began to get involved with the charity. I love being a part of ANW, there are many challenges, getting to know the real problems on Gioto slum and working out the best way to help is by far the biggest. I am married with two children and it’s been a real privilege as a family to visit Nakuru. Being born in NI is such a blessing and it definitely shifts life perspective to visit Nakuru and see people living in poverty and still able to smile and laugh. I first heard of Gioto Garbage Slum through Ross’s updates on Facebook. I was struck by the extreme poverty that people tried to survive in there, and was heavily impacted by seeing videos of kids looking through rubbish to try to find food. As a family we watched them together and I struggled to answer my own children when they asked me “Why do those kids not have anything to eat or anywhere to live?”. At Christmas time 2012 the opportunity arose to sponsor a child and we decided we would spend less on each other and use the money to give a child a future. 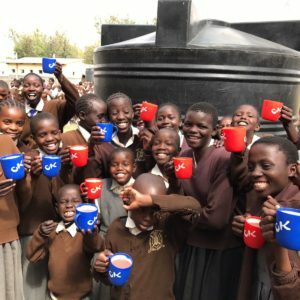 I have since had the privilege of travelling to Nakuru to experience for myself the environment Actions Not Words works in, and the amazing difference the charity is making in the lives of families in that area. I have been so honoured to be a part of this fantastic charity and the projects we are involved in. At Actions Not Words we believe that everyone can make a difference. Our main goal is to end the cycle of poverty in Gioto Garbage slum through education. If you would like to get involved, support us, or just want more information please get in touch.